A lilac tree welcomes summer with colorful, fragrant blossoms and dark green leaves. Unlike lilac plants or shrubs, the lilac tree grows tall enough to shade a yard. The lower branches are high enough to walk underneath, making yard maintenance easy. Lilac trees have flowers that are similar to those on lilac bushes. The flowers form tight clusters and are usually cream or pink. A few varieties have purple or green flowers. The flowers appear in the summer and last about a month. Lilac flowers are very fragrant. The tree can grow to a height of 15 to 30 feet. Lilac trees require little care. These trees tolerate drought and survive well in city settings. In periods of little rainfall, watering only once a month is all it takes for this tree to thrive. Most varieties of lilacs will only produce flowers on growth that is at least 3 years old, so pruning should be done sparingly. Lilacs prefer direct sunlight but will live in the shade. 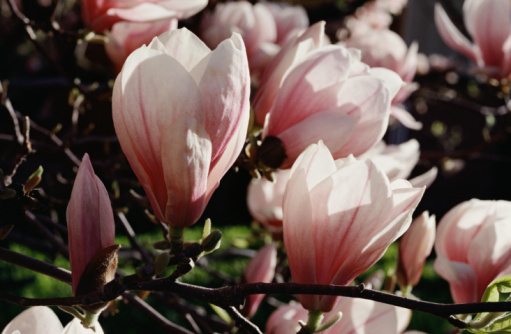 Shaded trees, however, produce fewer and smaller blooms. Growing lilacs can be done in two ways. Growing a tree from seed will be a slow process. 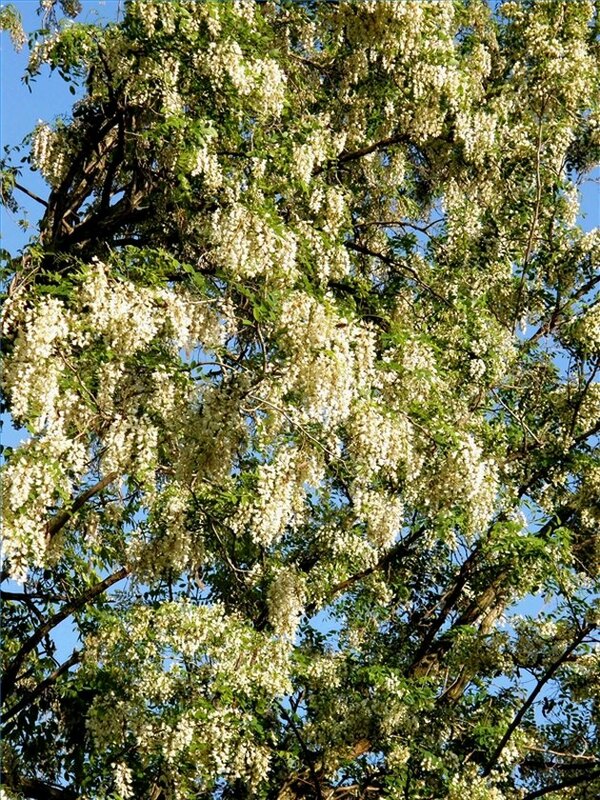 It can take six years for a tree grown from seed to produce flowers. The more common way of growing lilacs is to start a new plant from shoots. Shoots come up from the roots of larger trees. These shoots can be carefully dug up and transplanted. Growing a tree from a shoot will give you flowers in as few as three years. The advantage to planting a lilac tree instead of a lilac bush is shade and lifespan. Lilac bushes only reach a height of 10 feet, while a tree can grow up to 30 feet and be 15 feet wide or more. Lilac trees have an average lifespan of 100 years. Lilac trees can be grown all over the world. Varieties are hardy in temperate zones 2 to 10. This tree can tolerate moderate cold as well as high heat. They require very little rainfall but will thrive in areas with extreme periods of heavy rain. Lilac trees should be protected in areas with very high winds. These trees take a long time to recover from damage and may stop blooming while doing so. Lorrell Kay obtained a Master's Degree in animal husbandry from Southwest Minnesota State University and went on to work as a veterinary technician for 10 years. As a professional writer, Kay is the author of two fiction novels and has also co-authored a book on non-traditional animal medicine.